Hello eco-lovelies! I can't believe it is already time to be writing my March Favourites lineup - it seems like I just posted my February Favs! I tried out a lot of lovely products this month, including the new pastel range from Glossworks, a whole variety of fabulous goodies from my four subscription boxes I received (The Natural Beauty Box, Love Lula, The Cruelty Free Beauty Box, and my first ever The Pip Box), and a relaxing spa in a box from VitaBella. It was nice to look back at everything I had used and try to decide which would be my choices this month, and surprisingly a lot of my go to things from March I didn't actually end up writing about! However, that means I get to show a little love to them all here and now, so that is pretty fun! I have to admit I broke my personal spending ban once or twice during March, but that led me to discover one of my new favourite products, the Spearmint single note perfume from Balm Balm. Unfortunately this is no longer stocked on Love Lula, though they do offer an amazing range of five scents (all of which you can get in a little try me gift set!). I actually don't think Balm Balm are even making this perfume anymore which is an absolute shame as it is so fresh, uplifting, and mouth-wateringly amazing. After a quick look online, you can still find the odd bottle on sites like ebay, but otherwise this seems to be from a time gone by. I will definitely be attempting to recreate this scent before my bottle runs out, as I don't want to go without it now that I have become so attached to it! 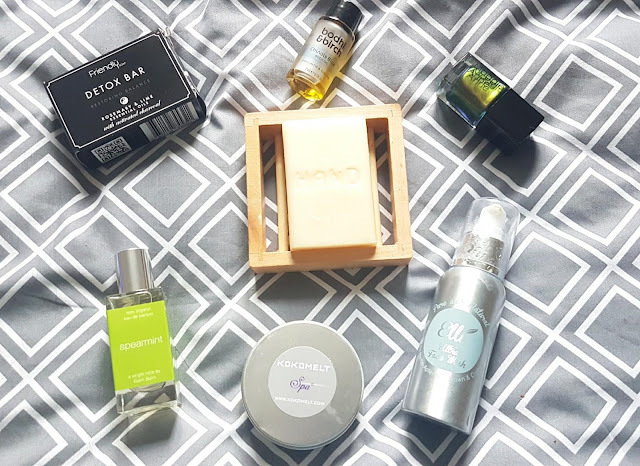 My next two picks for my March favourites both come from The Natural Beauty Box - Kokomelt Mini Lavender Scrub Cubes and Bodhi and Birch Chinois Blue Body Oil. The first I love for several reasons, including how divine the scrub smells as it begins to melt. The cubes are made with sugar and essential oils, and they give a really gentle exfoliation while also hydrating your hands. I have already decided this will be a repurchase item and I am not even halfway through the tin. They are just so nice! It's like the perfect fusion between aromatherapy and a skin treat, and there is no way I want to cut ties with these little cubes. The Bodhi and Birch is something I wish I didn't love so much as it is a bit pricier than I usually go for, but it will be worth every penny. I think I described this oil as smelling of a spring sunrise, and I stick to that -- it is so light and elegant, plus it leaves my skin feeling incredibly soft. I have been using this as a pre-shower oil instead of a leave on product, but only because I love how the steam from my shower dissipates the oils and makes the entire upstairs smell divine. Next up is one of my LLABP choices, the Ultra Face Wash from Elli Organics. When I bought this face wash I was expecting a cream or gel product that lightly lathered. Well, I was surprised when I discovered it was an oil-based formula that was more like an oil cleanser than a traditional face wash. However, it smelled so great that I decided to give it a go. I ended up absolutely loving this product, and it has really helped with the dry feeling our hard water gives my face after showering. It does take a good 60 seconds or so to get all the oil rinsed off, but afterwards my skin feels so soft. Definitely has to make my line-up for March! My fifth pick for the month was actually not something I was meant to have initially. I participate in the Reddit gift exchanges every now and again, and when I saw that there was a nail polish one I immediately signed up. 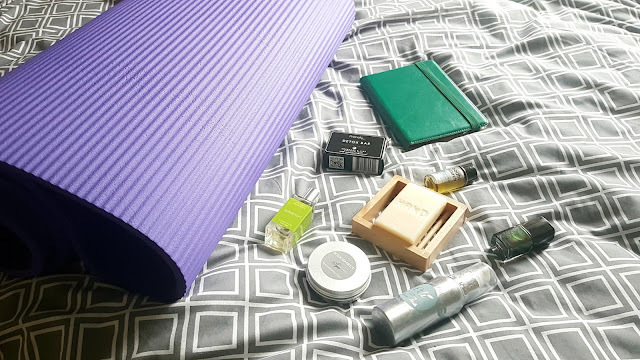 My gifter was absolutely lovely and asked so many questions about what brands would be suitable for me to use (as I had stated I only use CF and natural, and preferably vegan). About a week later a package from Maggie Anne arrived at my doorstep. Inside were two bottles: Carmela and Phoebe. Sadly, there was a small problem with one of my items, but Maggie Anne was so quick to respond and resolve the issue, and a few days later a replacement had arrived - this time one of the new chrome effects, Megan. Megan is absolutely stunning. I posted about it on Twitter, and I still can't believe how many shifting tones come through depending on how the light hits the nail. Definitely one of my new favourite nail polishes, and one I can't wait to play around with some more in April. The next two products are types of items I did not think I would ever consider to be favourites, let alone things I would mark out as being memorable. I am not usually a big fan of bar soap, as I dislike the feeling it leaves on the skin after being rinsed off. However, Friendly Soap's Detox Bar and HAND have both worked to win me over. The first has been an in-shower soap that I have been using to cleanse and exfoliate my arms, chest, shoulders, and lower back. It has really been helping regulate and balance my skin, and the little bumps I would sometimes get have completely vanished. It smells great, is cheap as chips, and has no plastic packaging, so it is a total win. HAND has been living in our upstairs bathroom and is such a weirdly delightful thing to use that I find myself looking forward to the next time I have to wash my hands. I love the smell of pomegranate, and this fills the whole room when you use it. Plus, it is really moisturizing for your hands thanks to the shea butter. This leads me to my final beauty pick - the eco-friendly wooden soap dish from Bloomtown. I bought this as a little extra to my order, not thinking much of it. However, it has really changed our soap-game upstairs and I am thinking of ordering a second one for the downstairs bathroom. I like that it is self draining, so there is no stagnant water sitting in the dish with the soap. It fits a standard size bar perfectly, and it adds a little bit of warmth to the all white room. Right now HAND Pomegranate is sitting inside it, and once that is gone I have a little bar from Bloomtown to replace it with. My next items all have to do with developing my mind and body. First up is my yoga mat (well, technically it was my partner's but he used it as extra cushion when sitting in the loft playing video games, so...). I have started doing 15-30 minutes of yoga every day, and while it has not been easy making this a habit, I have no regrets! 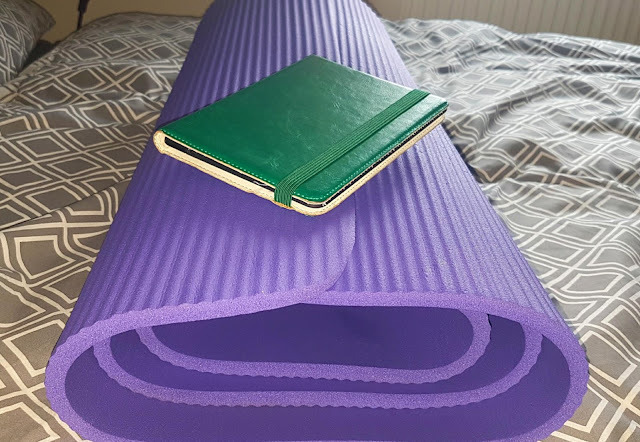 I love that I have started something active, and even better it gives me time to practice a bit of mindfulness while honing my muscles and balance. While not pictured, I have to mention one of my new favourite YouTube channels - Yoga With Adriene. I have been using her videos to practice, and her presence has really helped me keep motivated and feel like even if I am not yet ready for certain poses or routines yet, that is okay. I really like how she has a practice for every situation, and the times and skill levels cover everyone's needs. If you are interested in starting yoga, definitely check her out! Next up is a manga series that I ended up reading over the span of a few days on my Kindle. I started watching Fruits Basket before our trip to Belfast, and after finishing the final episode I realized that the series was never completed on television. I have never really picked up a manga (though I have read my fair share of graphic novels! ), so the layout took some getting used to. Instead of reading left to right, you read right to left, and sometimes I found it confusing which box or speech bubble to read next. However, I slowly adapted and I ended up loving the rest of the story. Basically, it is about a girl whose mother has recently passed away, and for various family reasons ends up living in the woods by herself for a few weeks. A classmate and his guardian stumble upon her while she is leaving her tent, and they offer her temporary board in exchange for help with household duties. However, she quickly learns this family has some pretty big secrets. The story involves multiple romance plots, the Japanese legend of the zodiac, and some pretty deep lessons about acceptance, forgiveness, and healing. Well, that is it for my March Favourites! What do you think of my picks? And I would love to hear what your choices would be for this month down in the comments below! Remember to keep up to date by following us on Twitter, Bloglovin/Blogger, Instagram, and Pinterest, and if you ever have a topic or product you would like covered, let me know! Fruits Basket is one of my most favourite animes. 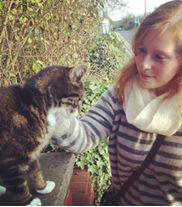 It is so cute! I haven't read the manga though. Well done for starting yoga. Next week my Tough Mudder training starts so I'll be dusting off my mat too. Thanks for the reminder. It was soo good! Would love to hear what other anime you like :) always out for recommendations! There are some brands that I haven't heard of before, so I'm definitely going to check those out! I have done some of the Yoga with Adrienne, the videos are so good! I've tried the Lavender and the Rose Geranium single note perfumes from Balm Balm, but would love to try Spearmint! Let's hope they decide to produce them again. Ooh yes an oil based wash is so good for dry skin :) I have been using my avocado oil for my hair, but I should try it on my face! I love Yoga With Adriene too! I'm a beginner at yoga as well and she's fantastic. The Natural Beauty Box is great as well. Always end up falling in love with something from the box each month. Brilliant! Which ones have you been using? I'm doing one of her 30 days programs but it's harder than I anticipated. And totally agree about TNBB!! Yes! 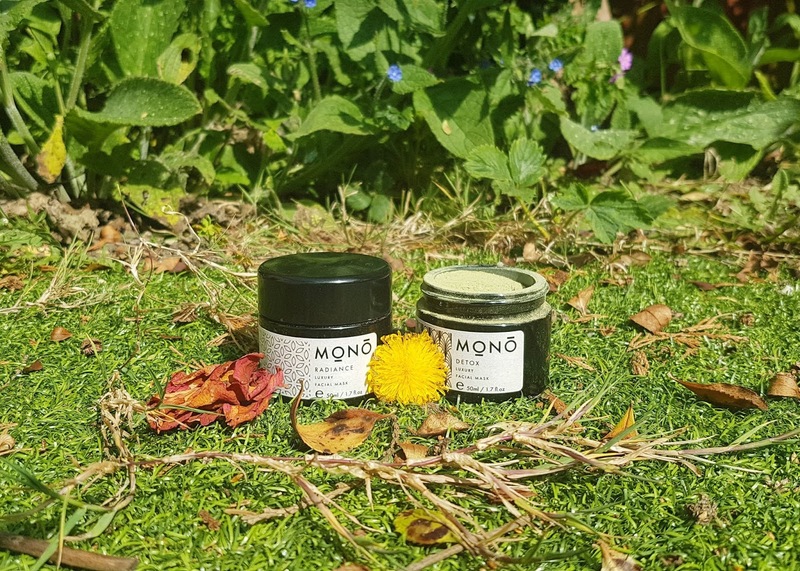 And I love that it gently exfoliates as well as it saves me time :) I think you would love the Kokomelts - if you send me your address on FB I'll send you a cube to try if you'd like! That's a lot of products! Its great that you get to sample so many through all the sub boxes you've tried. I really want to start doing yoga, I've been meaning to do it for ages! You've made me want to try the Natural Beauty Box now!